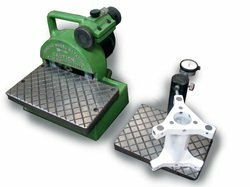 The DM-9B machine is a stand-alone manual dressing system that allows operators to shape grinding wheels off-line while grinding machines are running. The DM-9B is a standalone manual dressing machine designed to dress 9” (229mm) diameter by up to 10-1/8” (257mm) wide wheels used on the PG-9BHD and PG-9DHD. 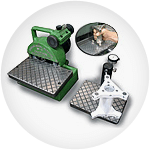 The DM-9B allows a wheel to be contour dressed with the same method employed on the grinder. Dust collection with optional HEPA filter ensures a clean, comfortable work environment. The DM-9B is a standalone manual dressing machine designed to dress 9” (229mm) diameter by up to 10-1/8” (257mm) wide wheels used on the PG-9BHD and PG-9DHD. Featuring the same work head assembly as a basic plunge grinding machine, the DM-9B allows a wheel to be contour dressed with the same method employed on the grinder. The ability to dress wheels offline increases efficiency and minimizes downtime. Having wheels ready for change-over allows the grinder to be used only for its intended purpose -- making parts. Dust collection with optional HEPA filter ensures a clean, comfortable work environment. For an automated CNC version, check out the DM-9CNC. Machine Weight : 1600 lbs. 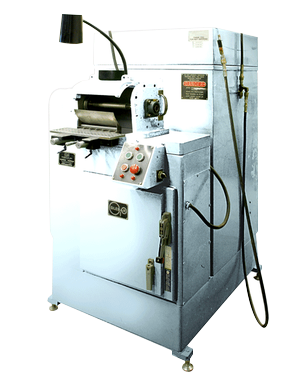 Includes dresser head assembly, Stylus checking system, slide assembly and platen which mounts on the back of the machine. 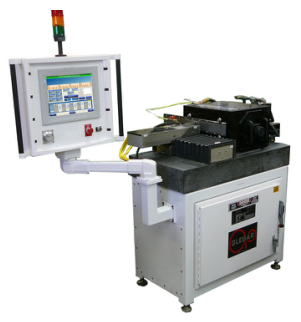 This system enables the user to dress the grinding wheel while still mounted on the machine. Please fill out as much information as possible. You will receive an email confirmation. One of Glebar engineers will contact you within 24 hours.